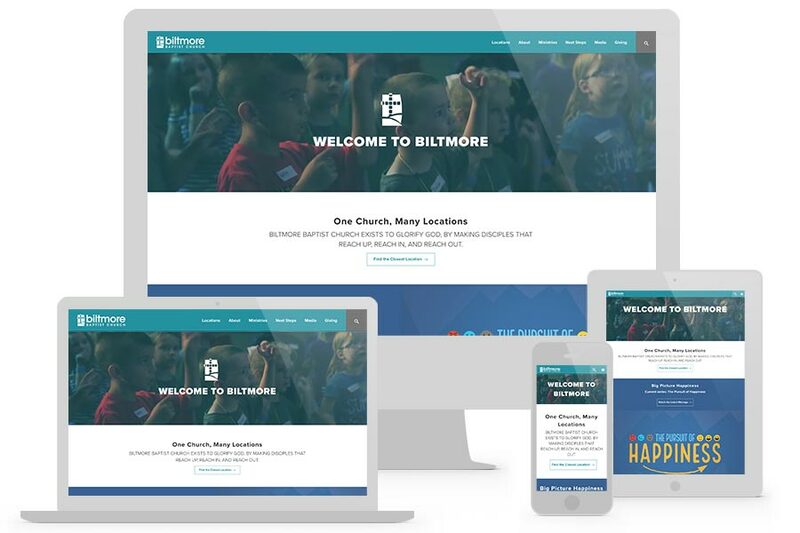 Biltmore Baptist Church came to us with clear goals. They wanted to tell who they are, proclaim what they believe, and show what they are doing through church wide initiatives. 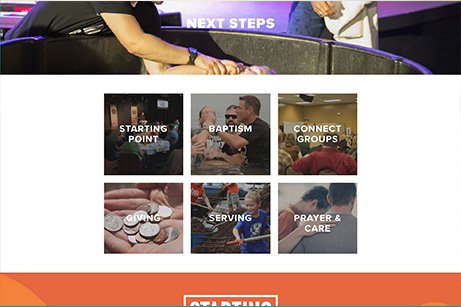 Another primary goal was to unify their church’s many locations. Media is used throughout the site to tell stories and show what it’s like to be at Biltmore. Clicking on a location shows service times and directs users to a Campus Detail page. This makes it easy to navigate from one location’s information to the other. 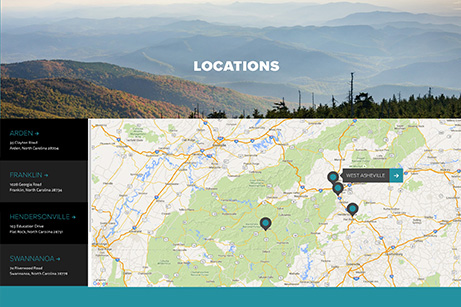 This simple layout uses photography and clear calls to action to help visitors easily get plugged in at Biltmore. 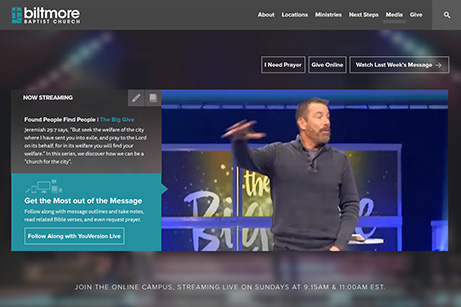 This custom page makes it easy to watch Biltmore Baptist live on Sundays. While streaming, you can take notes, and follow along in the Bible.